Best Rap of the Week: Offset, Eminem, Giggs, Gunna, More. Every week, Vulture runs through the best, most interesting, and sometimes most confusing rap releases. In this installment: Offset’s unexpectedly solid solo album, Giggs figures out how to move forward as a rap veteran, Gunna inhabits a world dominated by Young Thug’s influence, and Lil Pump’s cartoon world get’s more cartoony. 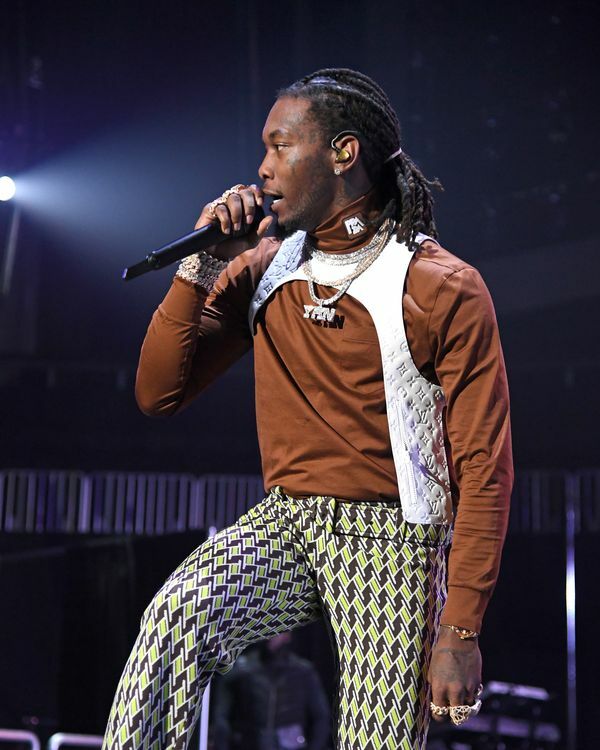 Offset was once a distant second in the Migos arms race: Quavo had been earmarked as the obvious star, and Takeoff had been left off “Bad & Boujee.” Now Offset’s hotel-room dalliances are tracked like Watergate; he was onstage at the Grammys during the acceptance speech for Best Rap Album, playing the supporting, redeemed(?) husband. (All this on the heels of Quavo’s sloppy, deeply mediocre solo effort, which was dead on arrival last fall.) Father of 4 more or less sounds like a Migos album — it’s a little smaller, quieter, more morose — but is written far differently, with the autobiography and personal regret acting as the spine rather than as a set piece tucked neatly at the end. It has maybe the only song to pivot cleanly from a Big Rube monologue into a rapper who sounds ashamed that he’s fallen short of Rube’s advice. It contains no obvious hits — most of what any member of Migos does could be slotted somewhere into a mix show, but Offset is swinging to make contact, deploying his pop gifts mostly in the service of crafting the sort of linear, world-building solo debut that was de rigueur for the long middle period of hip-hop’s history. He’s intermittently successful, especially in the album’s first and last thirds. The collaborations are similarly scattershot: The songs with Gucci and Gunna are clean and punishing, while he and Cardi’s “Clout” is weighed down by its cumbersome subject matter. Despite the title and the early focus on fatherhood, the back end centers Offset’s late grandmother in a moving way. When we talk about the difficulties facing veteran rappers, we’re usually talking about marketing and broader narratives: How do you stay vital in a genre that places such a premium on the surprising, the foreign, the young? Big Bad … makes what should be the obvious counterargument — that years of experience give an artist the rote skills and sense of judgment necessary to make tight formal exercises into succinct and irresistible finished products. It’s been more than a decade since the police in London begged XL not to sign Giggs (they didn’t listen) and about two years since interest in him among American rap fans was reignited by a pair of features on Drake’s More Life. Big Bad … is the sort of record that, in the hands of a less distinctive (or less experienced) vocalist, might seem flat — the beats skew heavy and industrial, and relentlessly so. But Giggs spins them into breathy club fare (“Baby”) and hypnotic swing (“You Ain’t”). On “Mic Check,” he goes toe to toe with Jadakiss in a way that seems to invigorate both emcees. For its 20th anniversary, Eminem’s debut album is repackaged with some of its singles’ a cappellas and instrumentals — but, more importantly, with a small handful of loosies, freestyles, and soundtrack appearances from the beginning of his career. This means that you can now legally stream rarities like the “Hazardous Youth” freestyle and the phenomenally good Sway & King Tech gift “Get You Mad.” The Slim Shady LP, like all of Eminem’s work, is overly beholden to the comic-book world it has decided to live in; these scraps are welcome reminders of just how elastic and inventive he was, taking what should be droning walls of syllables and turning them into fluid, manic bursts. Who else is going to rap about “doing drive-bys in tinted Corvettes on Vietnam War vets”?